Our organization is counted among the most distinguished manufacturers, suppliers and traders of Industrial Reamer. 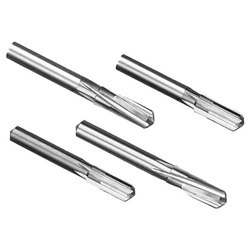 Under this category, we offer our customers a wide range of Solid Carbide Chucking Reamer, Carbide Lugged Reamer and Solid Carbide Reamers. The reamers offered by us are developed from high quality steel and are widely acclaimed for their strong construction and low maintenance cost. 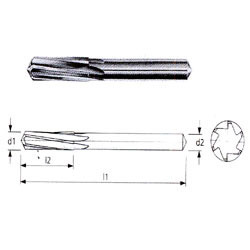 A quality range of Solid Carbide Reamers is offered to our prestigious clients. We ensure our clients to deliver a quality range of this product thereby it went through various quality measures under the strict guidelines of the professionals. We also assure our clients to deliver this range in the stipulated time frame and can be availed from the market at market leading prices. In order to fulfill the changing demands of our clients, we are offering Solid Carbide Chucking Reamer. The offered reamers are manufactured by the experts following industry standards. 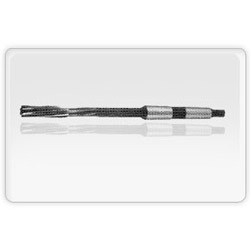 These are widely used to enlarge or finish a hole that has already been drilled. We offer these solid carbide chucking reamers to the clients at market-leading prices. With thorough knowledge of the industry, we are engaged in manufacturing, supplying and trading Industrial Solid Carbide Chucking Reamer. 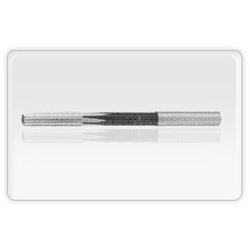 Our offered reamers are widely used to widen the holes in metals. These are mainly used in places of metalwork in the spindles of machine tools like drill presses. Before the end delivery, these are stringently checked by the quality analyzers on varied parameters to ensure their flawlessness. 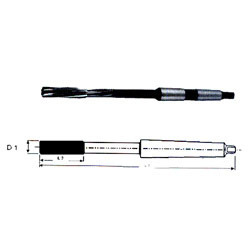 We offer these reamers to the clients at market-leading prices. 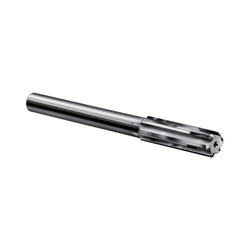 Owing to the sophisticated manufacturing facility, we have been able to offer Carbide Lugged Reamer. To meet the customers' needs, we offer these reamers to the clients in different sizes and diameters. Moreover, customization of these reamers is done by us in order to meet the requirements of clients. Our professionals ensure that only defect-free range is delivered at the clients' end within the promised time. 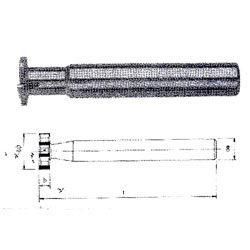 In order to fulfill the changing demands of our clients, we are offering Industrial Carbide Lugged Reamer. These are designed and manufactured under the supervision of professionals following industry standards. 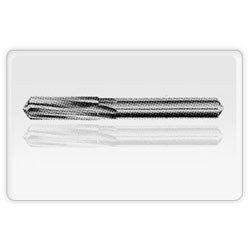 The offered lugged reamers are extensively used to widen the holes in metals. We offer these lugged reamers to the clients at market-leading prices. 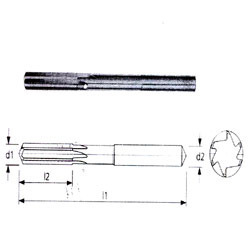 To furnish the diverse requirements of our clients in the best possible manner we are involved in offering an extensive range of Carbide Lugged Reamer. Can achieve 150% higher speeds & 2/4 times higher feeds as compared to conventional HHS reamers. Results in accurate dimensional control, superior surface finish & higher productivity Preferred for high tensile & high abrasive material where other types of reamers do not give consistent performance Ideal for usage on conventional as well as CNC machines. To furnish the diverse requirements of our clients in the best possible manner we are involved in offering an extensive range of Solid Carbide Chucking Reamer. Looking for Industrial Reamer ?